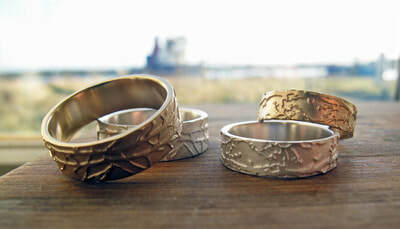 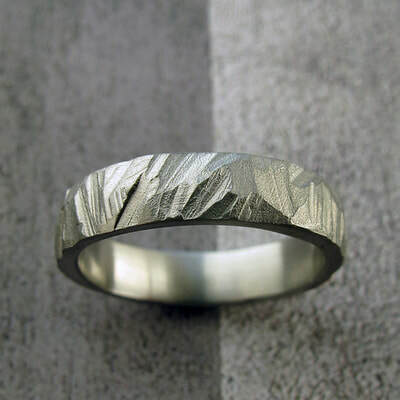 Sally's jewellery explores the complexity of patterns and natural structures that she finds in her everyday journeys. Transient, shifting patterns are captured by etching them into precious metals to give them permanency. 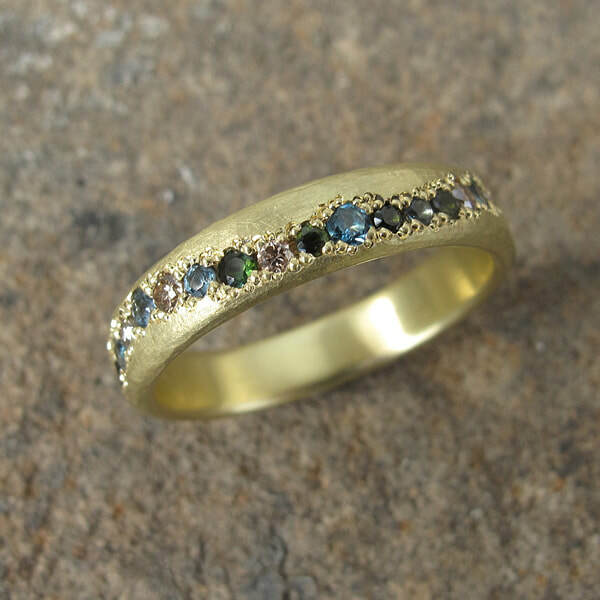 Sally is also drawn to gemstones with unusual inclusions that resonate with the images she collects. 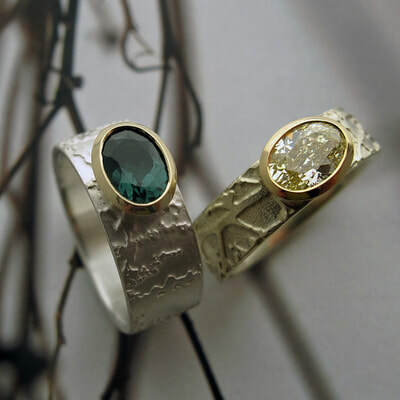 Bespoke pieces are available to order by commission.